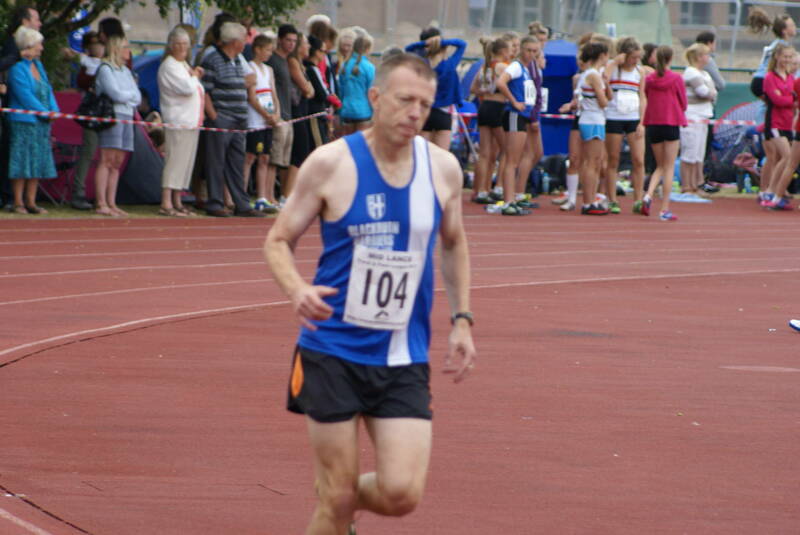 On a cooler day than recently, sixteen Harriers competed at Ormskirk in the Mid Lancs League. 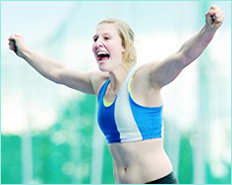 Some great performances came from the five female athletes who competed. 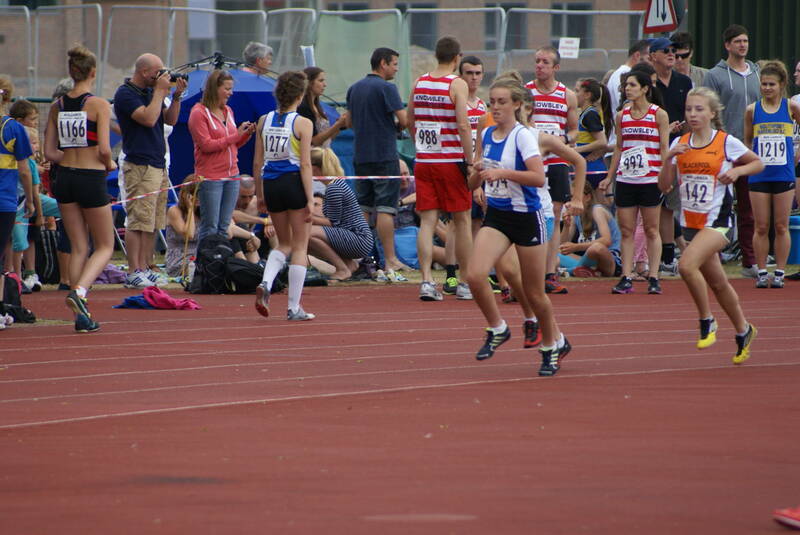 U15 Olivia Wilson completed a PB double with 2.38.90 in the 800m (4th) and 20.11 in the Javelin (2nd). 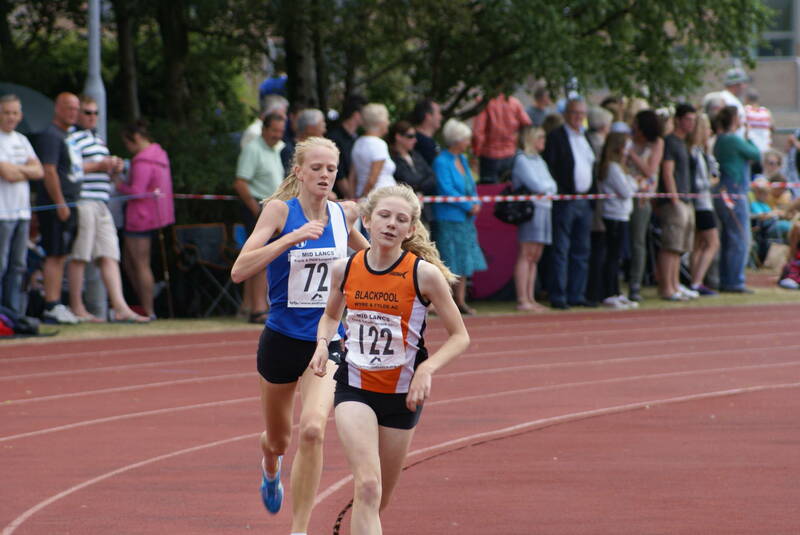 Another improving U15 – Charlotte Taylor – had a real go at the U15 Girls Record in the 300m, missing out by just seven tenths of a second in finishing 2nd (44.90) and two and a half seconds faster than her previous best. She also contested the 200m (2nd) 28.90sec. 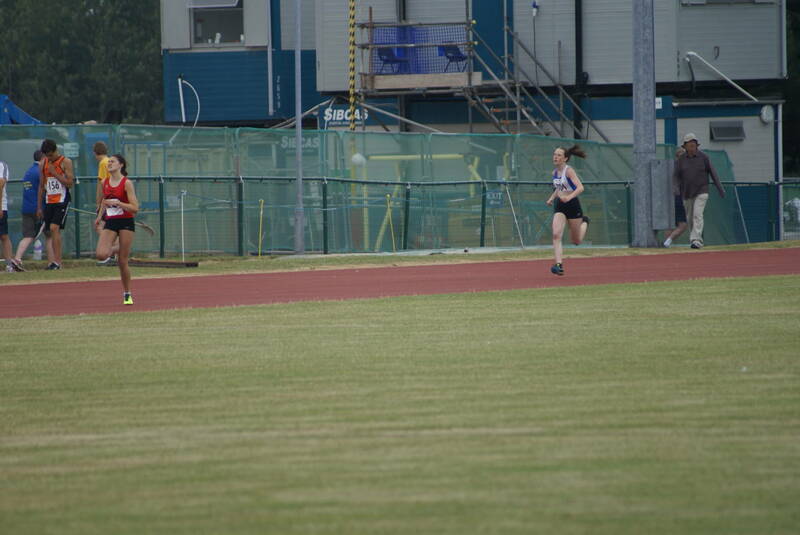 U15 Liz Greenwood took to the 800m for some speed work and knocked a full three seconds off her PB with 2.21.40 (3rd). 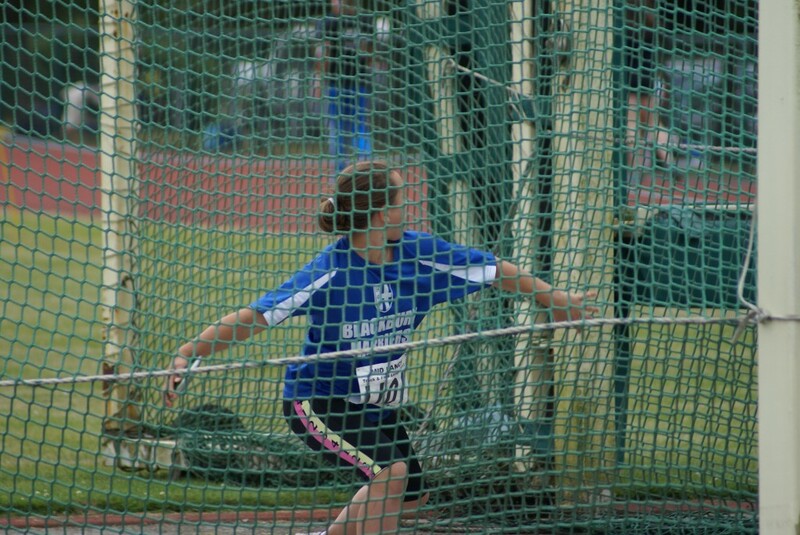 Becky Orrell came 2nd in the Shot Putt (7.43m) and 2nd in the Discus (26.59m). 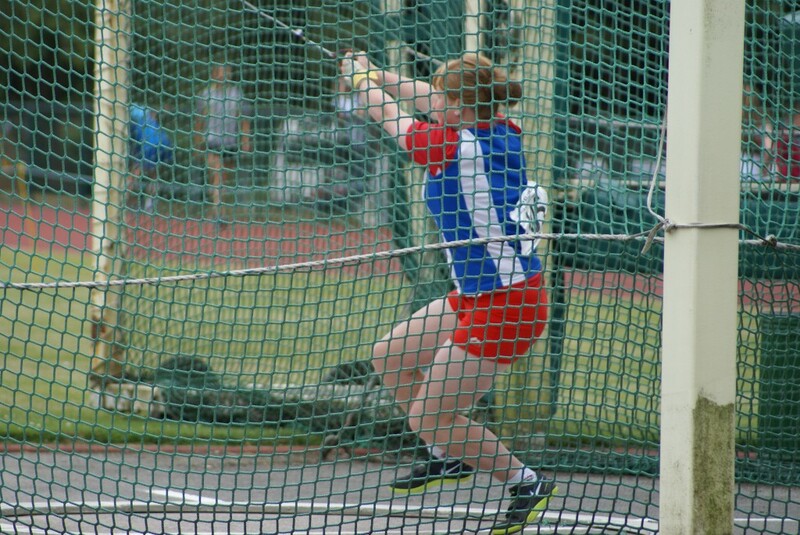 New Club member and 11yrs old – Eloise Littlefair – showed real promise with a 14.60 clocking in the U13 Girls 100m (2nd) and then won the Discus with a throw of 18.94m which places her 4th in the North West Rankings after her first ever competition. Four PB’s for the Girls and nine PB’s from the male athletes who competed on the day. Jamie Vickery kicked off proceedings with 2nd in the Senior Men’s 100m Heat One (11.50) and was followed in Heat 2 by Paul Coffey 11.80 (2nd) and Jack Lonsdale in 5th (12.30) – Mick Angland with a first outing of the season came 3rd Heat 3 (12.1). 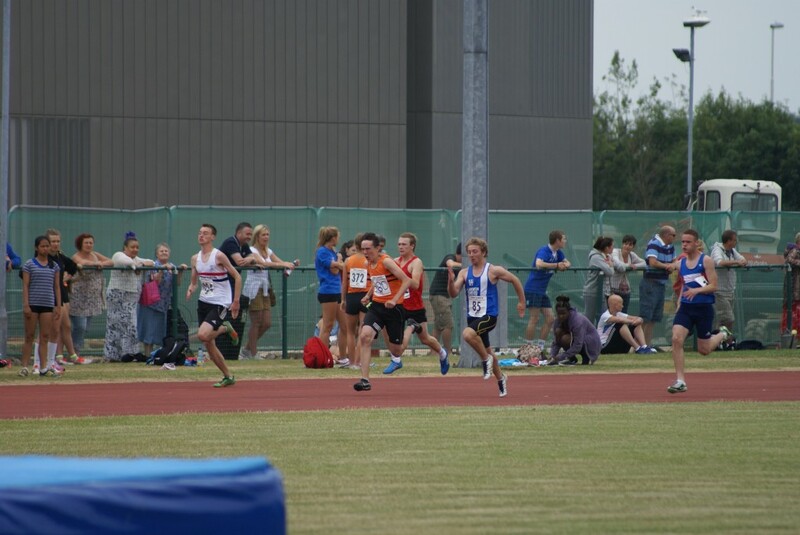 Jack Lonsdale and Paul Coffey then doubled up in the 200m with Jack winning his Heat in 24.60 and posting a PB and Paul 2nd with 24.40 in his Heat. Jamie jumped 5.08m in the Long Jump in his first outing in this event since May 2012, and then added 5m to his Hammer PB with a new PB of 21.88m – Paul tried the Javelin 8th (18.07m) just short of his PB. 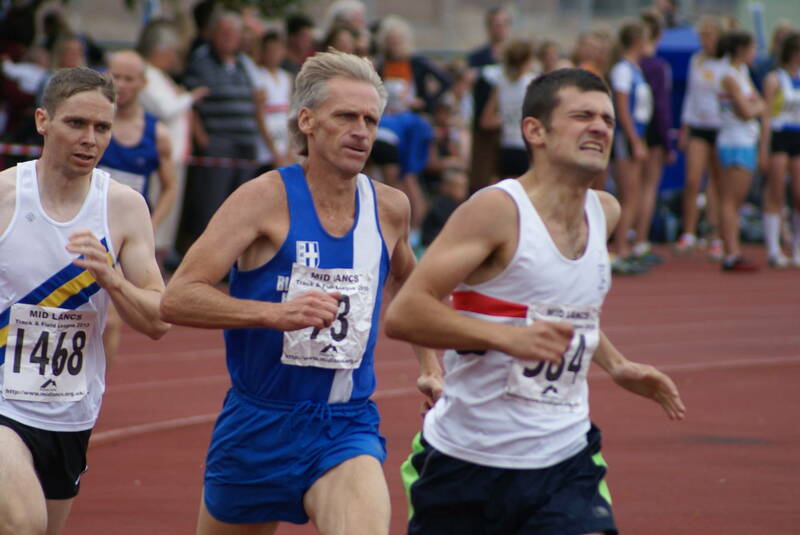 In the Veteran Category V50 Phil Hall ran a very good season’s best of 2.08.00 in the 800m (5th) and V45 John Orrell posted 2.48.50. 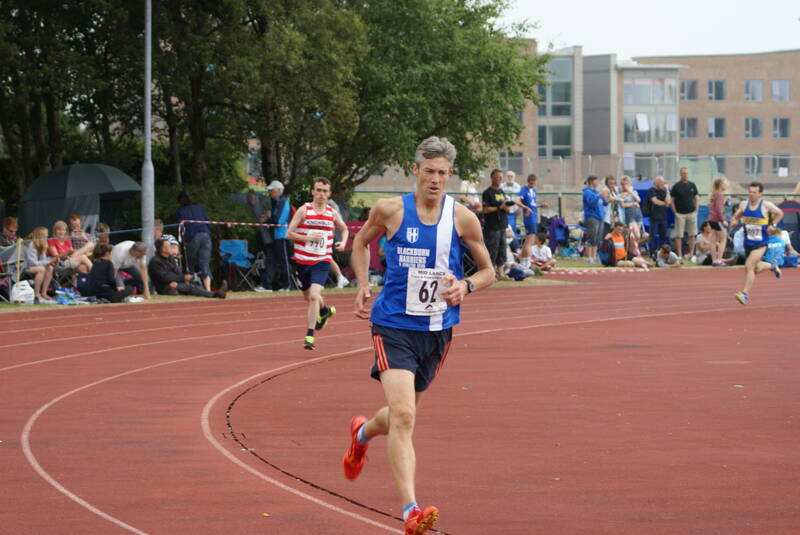 V35 Chris Davies who recently knocked 13 minutes off his Half-Marathon PB doubled up in the 1500m (3rd) 4.47.20 and 3000m (5th) 10.16.50, setting new PB’s in both. 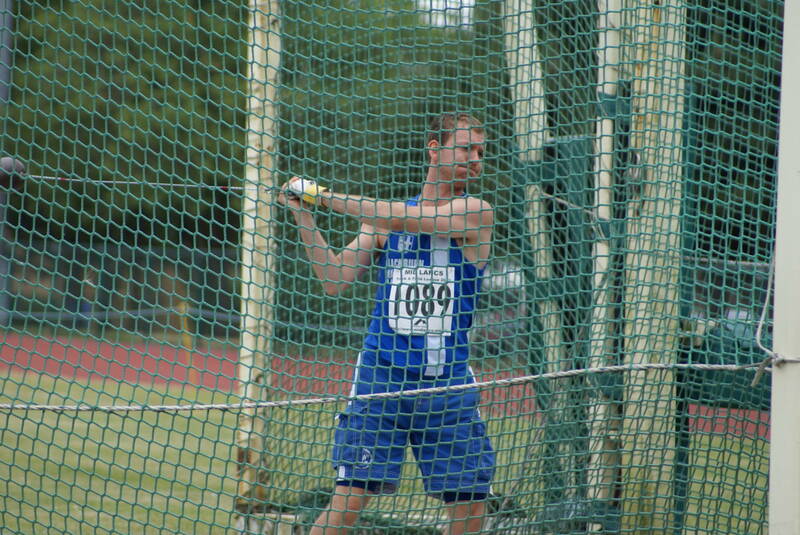 Jack Vickery excelled breaking the 50m barrier with the 6kg Hammer winning with a new PB of 50.53m and followed it up with an 8th place Discus (23.72m). 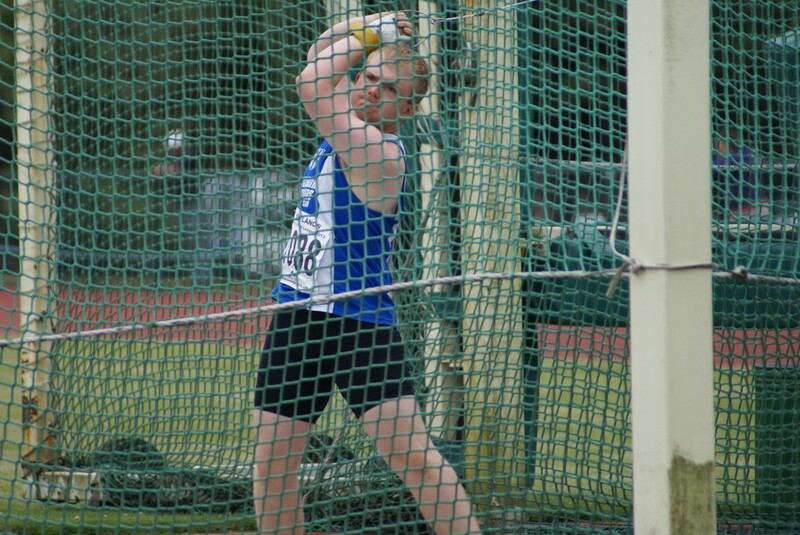 Connor Davison had a consistent day with three 2nd places in Shot Putt (9.85m); Discus (25.61m) and Hammer (34.77m). 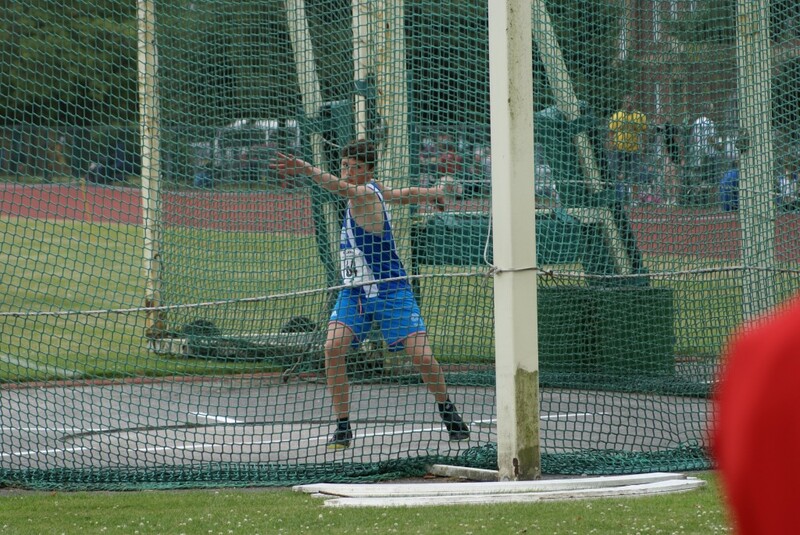 Bottom of age U15 Jacob Roberts, benefiting from some consistent training had a tremendous day in setting three PB’s in his contested events Discus 5th (20.58m); Hammer 5th (21.35m) and Shot Putt 6th (8.61m). Cameron Massey also competed in three events with the 100m (6th) 12.70; Long Jump 13th (4.36m) and a big PB in the Shot Putt with 9.52m, nearly two metres in excess of his previous best. 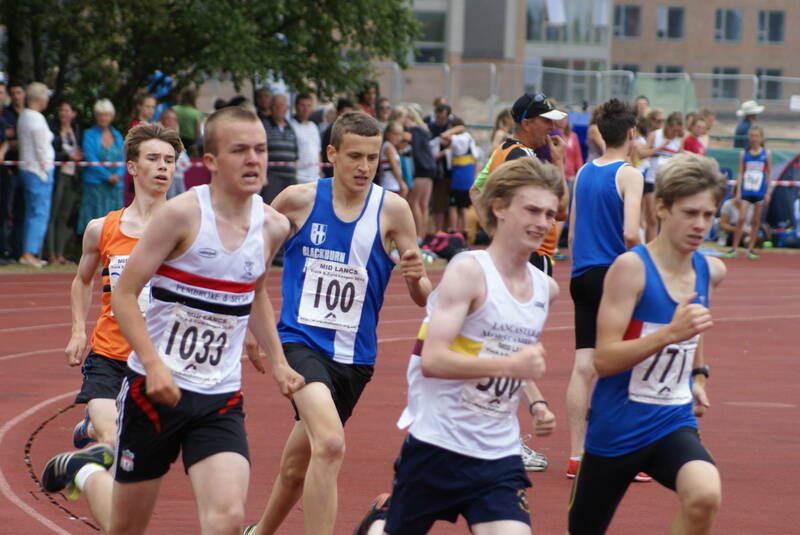 In the U17’s Joe Monk in his first competitive 800m ran a good race (7th) in 2.15.30. 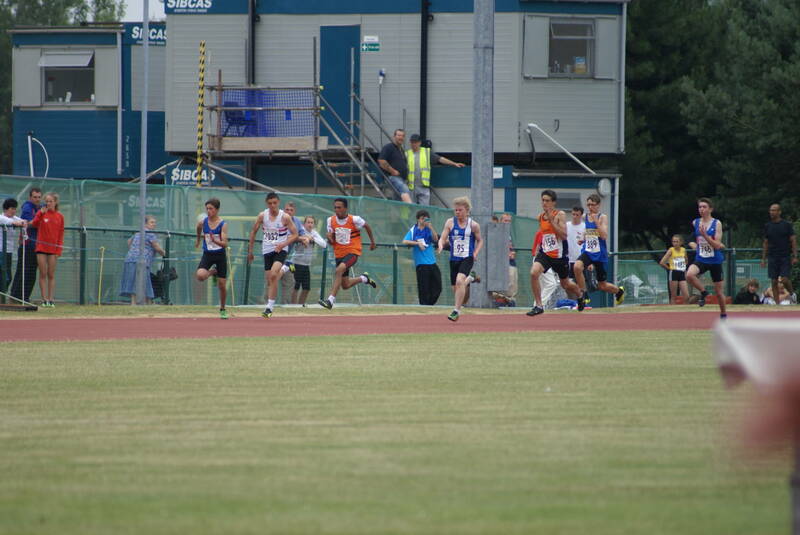 Gareth Johnson doubled in the 100m (2nd) 12.10 and Javelin (5th) 15.58m. 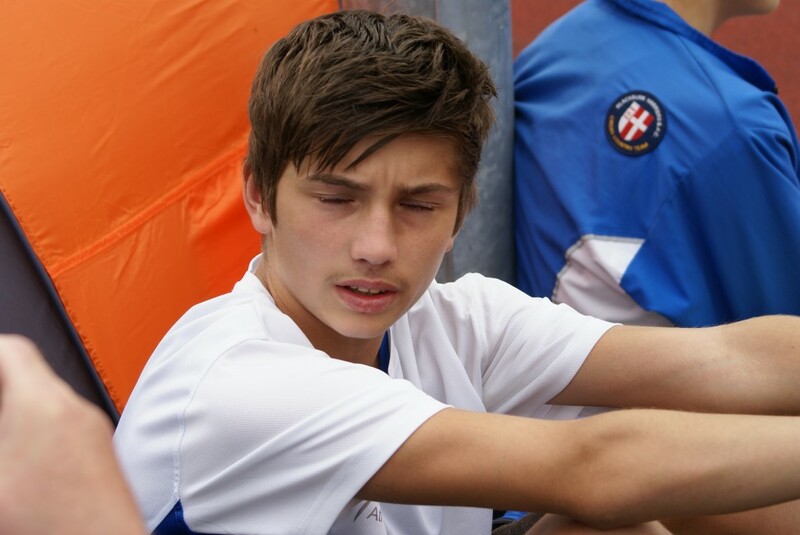 Ben Aspinall leapt 12.64m in the Triple Jump, just short of his PB by 4 cm in winning the event. 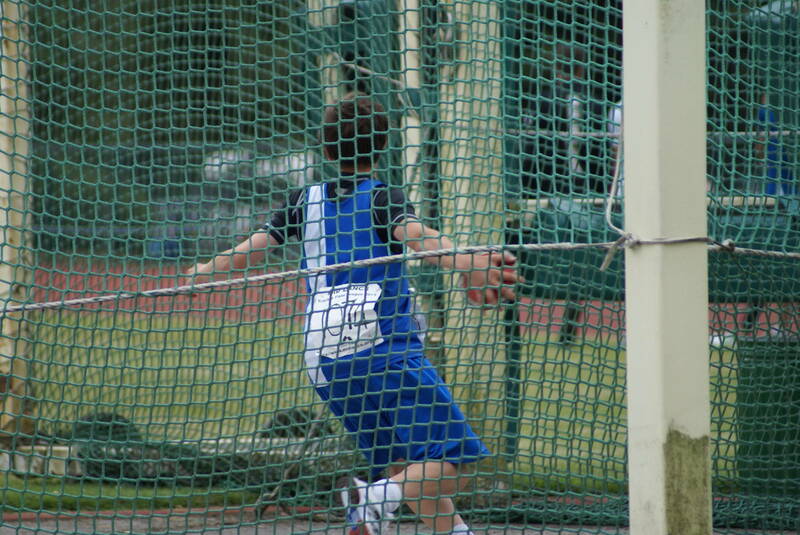 Ben then came 4th in the Javelin (17.72m) and 3rd in the Long Jump (5.44m). Alison Leonard had a stunning run at the BMC Mile Race in Oxford on July 20th. 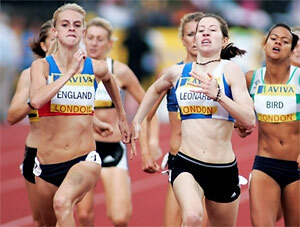 The existing Club Record was held by Judith Croasdale who set a time of 4.52.28 in Cwmbran on 26th May 1980. This Record which has stood for 33 years has now been broken by Alison when she won the BMC Mile Race in a time of 4:42.39, beating the old Record by nearly 10 seconds. This result places her 8th in the National Rankings currently headed by Vicky Fouhy (4:34.87). Congratulations from everyone at the Harriers for breaking this long standing Record.